I've never had perfect skin - you'll know that if you look back at any number of my previous skincare posts. 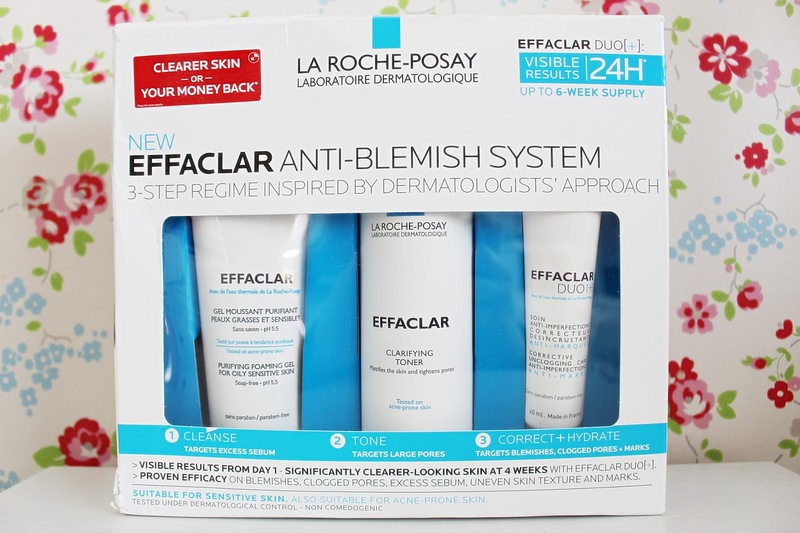 Suffering with oily, acne-prone skin over the years has meant that I've tried and tested my fair share of blemish-targeting skincare products, so I was excited to give the La Roche-Posay Effaclar Anti-Blemish System a try. I've tried the original Effaclar Duo before and was really pleased with the results, so I had high hopes for the other products. The set comes with everything you need to keep your skin clean and healthy - a Purifying Foaming Gel, Clarifying Toner and the infamous Effaclar Duo[+], all of which aim to target acne-prone, oily skin. Each of the products is brilliant in their own right and I totally recommend them if you suffer with blemishes and/or oily skin. The Purifying Foaming Gel leaves my skin feeling squeaky clean without drying it out, and I honestly am a bit obsessed with the toner - it just leaves my skin feeling so smooth and soft whilst mattifying my skin and tightening pores. Finally, the Efflaclar Duo [+] is even more powerful than the original and it tops off this trio nicely. All of the products compliment each other perfectly, and I honestly believe this is one of the (very few) ranges that targets acne-prone skin without stripping of its oils and drying it out! I think this kit would be fantastic for teens suffering with blemishes, or, like me, if you still suffer with acne later on in life. My favourite product of the three? The toner, hands down - it's one of the best toners I've tried and although I'm not sure if it's available to buy separately yet, when it is I will definitely be purchasing a bottle! It contains salicylic acid, which is one of my ultimate favourite ingredients when it comes to tackling problem skin. The kit is a tad pricey at £32.50, but when you think about the fact you're getting three fab full-size products you really can't grumble. I love it and 100% recommend giving it a go if you suffer with blemishes and oily skin! 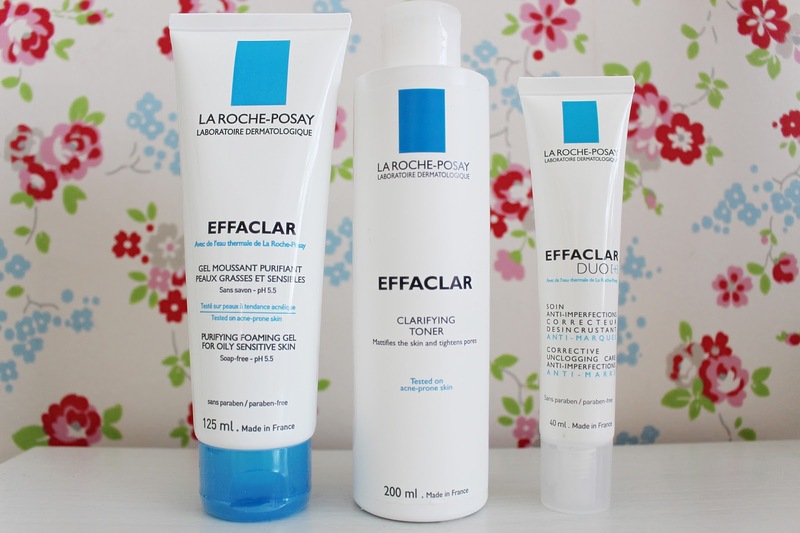 Have you tried the Effaclar Anti-Blemish System from La Roche-Posay? Let me know your thoughts!